Home›News & Events›Music in the Early Years: Who, What & Why? Music in the Early Years: Who, What & Why? Our latest briefing paper provides an essential introduction to music-making with very young children. 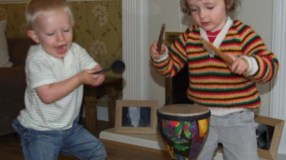 The experts from our core group of the London Early Years Music Network (LEYMN) are very aware that not everyone that works in music or with young children is aware of what music-making with under-5s looks like, why it’s important and who to work with. The ‘Music in the Early Years: Who, What & Why?’ briefing paper has been written by LEYMN member, Linda Bance, to answer these questions. She introduces how young children engage with music at different stages and why it’s important. She talks about the different venues and settings music-making happens in and the roles of musicians and practitioners in supporting good quality musical activities. Download the briefing paper here and find out more about LEYMN, how to join and our Facebook page here.